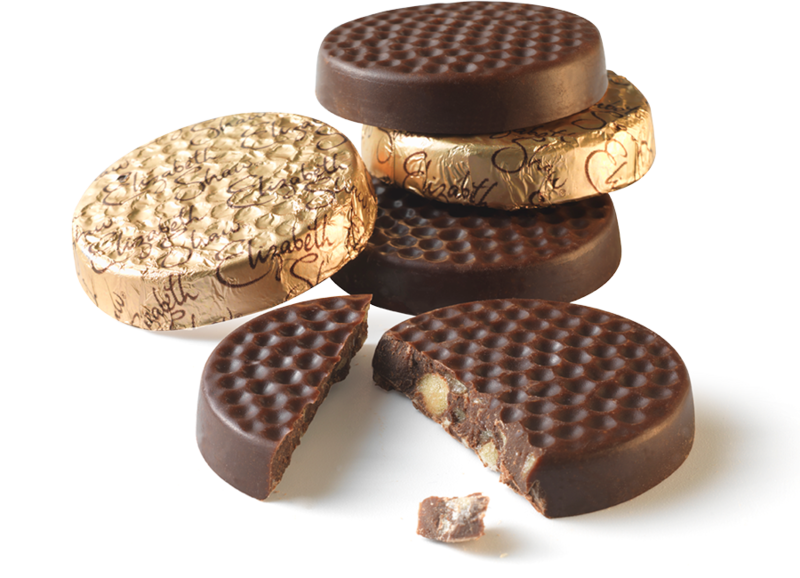 Mint flavour dark chocolate Easter Egg with honeycomb crisp. 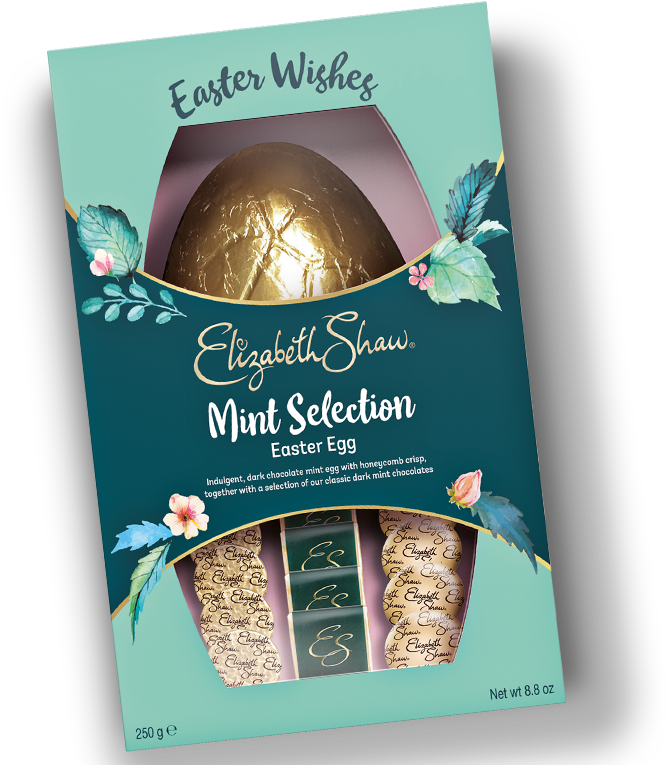 Dark chocolate mint egg with honeycomb crisp, together with a selection of 12 classic dark mint chocolates. Sugar, cocoa mass, cocoa butter, glucose syrup, emulsifier: soya, lecithin, invert sugar syrup, flavourings, raising agent: sodium bicarbonate. Dark Chocolate contains: cocoa solids 45% minimum. For allergens, see ingredients in bold. Also, may contain milk and nuts. Our timeless classic. Melt-in-the-mouth dark chocolate decadence. Rich dark chocolate with a soft mint fondant centre. Delicious dark chocolate meets smooth mint fondant.